2. The Second Upturning of the Tea Table. Well then, would you all mind introducing yourselves in turn. 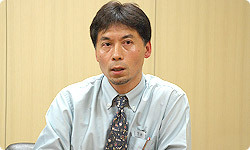 I’m Shimomura from the Network Service Development Department. I’ve had experience in both the development of software and hardware and so with “Walk with Me!” I was in charge of overseeing creation of both the pedometer and the software as well as bringing the project together as a whole. 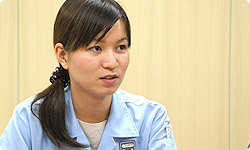 I’m Mizuki from the Network Planning Group of the Network Service Development Department. I joined this project in the middle of development in a supporting role, doing similar work to a producer. I’m Morimura, from the same Network Planning Group as Mizuki-san. I was the director of the “Walk with Me!” project. Before this, I was working as a programmer, but I transferred departments and this is the first software I have been in charge of. I’m Akita from the Mechanical Design Group for the Network Service Development Department. I was in charge of the mechanical design1 of the Activity Meter. 1 Mechanical Design is the carrying out of the development, design and evaluation of the mechanical parts found in the exterior components (casing) and switches etc. Well then, first could you tell me a bit about the Network Service Development Department? It’s a slightly strange department, even for Nintendo. Well, originally in Nintendo, we had people making hardware and people making software mixed up in the same department, and those people would work together to make things. In other words, an integrated software/hardware business was being carried out within a single department. For example, while someone was making the Gameboy, someone at the next desk along might be working on software. Yes, but cases of similar types of development being carried out by two different departments at the same time were increasing and the scale of development was also getting bigger and bigger. The development system in its traditional form had become inefficient and so the company went through a large-scale reorganisation. As a result, Nintendo was restructured into two hardware development divisions and two software development divisions. The fundamental idea of an integrated software/hardware business hasn’t changed, but this idea is now realised through cooperation between departments. And only the Network Service Development Department isn’t assigned to any of the development divisions. Yes, it’s only in our department that the traditional development system has remained. 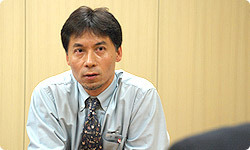 As a result, we have people like Mizuki-san and Morimura-san who make software, people like Akita-san who work on mechanical design and also programmers and so on, so it’s a bit of a strange department for Nintendo now. 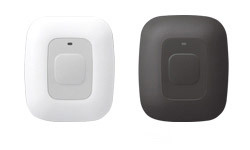 Recently, I was involved in “MAGKID”2, which is a sliding controller similar to a mouse. Akita-san was also in charge of the mechanical design for this product. I also worked on “Pokemotion”3 with the previous incarnation of the Network Services Development Department. 2 MAGKID is a DS game called ‘Slide Adventure MAGKID” released in Japan in August of 2007. It is an action game which you play by attaching a sliding controller like a mouse onto the DS. That product was a stick with lots of LEDs lined up along it and when you waved it back and forth images of Pokémon and things would appear, didn’t they? Didn’t you also work on “Pokémon mini”4 ? 4 Pokémon mini was an ultra-compact handheld console released in Europe in March of 2002. (Released by the Pokémon Company) Approximately 10 pieces of compatible software were released. 5 WarioWare: Twisted! is a GBA game released in Japan in October of 2004. It is a twisting action puzzle game. A gyro sensor was included in the cartridge, so you could play by spinning the actual GBA around. I think that your team prepared the hardware, and Ozawa from “Rhythm Heaven” made the software and then together with your superior, Sakamoto-san, you came and presented it to me. After that…. weren’t you involved in the “Mobile GB Adapter”6 too? 6 The Mobile GB adapter is a peripheral for connecting the GBC or the GBA to a mobile phone. You can battle with far away friends and receive data. 7 Satellaview was a peripheral for the SNES for receiving data broadcast from satellites. It was possible to play games for free. The service began in Japan in 1995 and ended in 2000. I was. Isn’t that enough yet? (laughs) With the “Mobile GB Adapter” you could connect to the internet through your mobile phone to download data and have online battles. I was also involved in the development of “Satellaview”7 which attached to the SNES and allowed you to download games from satellites. Although that was quite a long time ago. (laughs)2MAGKID is a DS game called ‘Slide Adventure MAGKID” released in Japan in August of 2007. It is an action game which you play by attaching a sliding controller like a mouse onto the DS.3Pokemotion is a communication tool released in Japan in August of 2003. Through the flashing of LEDs and the afterimage left in your eyes, it allowed you to see all kinds of Pokémon and words. (Released by the Pokémon Company)4Pokémon mini was an ultra-compact handheld console released in Europe in March of 2002. (Released by the Pokémon Company) Approximately 10 pieces of compatible software were released.5WarioWare: Twisted! is a GBA game released in Japan in October of 2004. It is a twisting action puzzle game.6The Mobile GB adapter is a peripheral for connecting the GBC or the GBA to a mobile phone. You can battle with far away friends and receive data.7Satellaview was a peripheral for the SNES for receiving data broadcast from satellites. It was possible to play games for free. The service began in Japan in 1995 and ended in 2000. This wasn’t an idea that we originally thought of ourselves. There was a request from Europe for us to make something fun for the DS using a pedometer. And at about the same time we received a proposal from Creatures8 saying that they wanted to make a health tool for the DS using a pedometer. So with that we made a start on the development of the Activity Meter. 8 Creatures Inc. is the developer who made games such as Pokémon Ranger Shadows of Almia (DS) and Nonono Puzzle Chalien (GBA) as well as making the Pokémon Trading Card Game. It is based in Tokyo. This wasn’t an idea that we originally thought of ourselves. There was a request from Europe for us to make something fun for the DS using a pedometer. And at about the same time we received a proposal from Creatures8 saying that they wanted to make a health tool for the DS using a pedometer. So with that we made a start on the development of the pedometer8Creatures Inc. is the developer who made games such as Pokémon Ranger Shadows of Almia (DS) and Nonono Puzzle Chalien (GBA) as well as making the Pokémon Trading Card Game. It is based in Tokyo. Once you had decided to make a pedometer, how did you start development? Well, it’s something we began about two years ago…. The first thing that we did was to find out just how many pedometers are sold each year in Japan. So how many are sold? In the past, pedometers used a mechanical switch, like with “Pokémon Pikachu”9, but that isn’t true any more is it? 9 Pokémon Pikachu is a pedometer that lets you become closer friends with the Pikachu in the screen the more you walk. It was released in Japan in March of 1998. In the past, pedometers used a mechanical switch, like with “Pokémon Pikachu”9, but that isn’t true any more is it?Pokémon Pikachu is a pedometer that lets you become closer friends with the Pikachu in the screen the more you walk. It was released in Japan in March of 1998. That’s right, in the more recent pedometers, they usually use accelerometers and shock sensors, but back in the time of “Pokémon Pikachu” they used a mechanical device and so had the drawback that if you had it sideways it wouldn’t count your steps. That’s why you had to fix it to your belt to make sure it stayed the right way up. That’s right. In order for a pedometer to count your steps no matter which way up you have it, you need to use a dual axis accelerometer or two shock sensors. Thanks to this you can just put it in your pocket or your bag without worrying about which way up it is. Considering elements such as battery life, we decided to pursue a development path using shock sensors which have a low power consumption. When did Akita-san, who was in charge of the mechanical design join the project? That’s fine with me. (laughs) I had you come here today because I wanted to hear that story. OK then. I considered how to connect the pedometer to the DS software, and thought that using the GBA slot on the DS would probably be the most obvious way. In other words you tried to make a GBA cartridge function as a pedometer. Yes. After carrying around the cartridge you could return home, put it in the DS and then the DS card would be able to read the data from it. And this is the design we made. It seems like it’s twice the size of a normal GBA cartridge. Since we anticipated people walking around with it in their pocket, if it was a normal cartridge then the connections that go into the hardware would be exposed. That could easily lead to a malfunction. There might be lots of dust in your pocket, and if you are going walking you might get sweaty too. Yes. So then having the pedometer fold in three was proposed and we looked into a design like this which would encompass the cartridge. It ended up a bit bigger than a normal cartridge, but we were able to guarantee a certain amount of water resistance. And so the design was finished, the explanation to the Manufacturing Division had taken place, and right when we were about to start the design for mass production... we suddenly had to stop. For a reason that nobody could have anticipated, we had to upturn the tea table10 and start again from scratch. 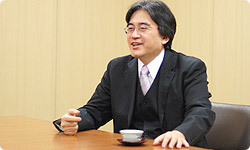 10 “Upturning the tea table” is a humorous phrase used by developers at Nintendo to refer to a sudden and dramatic change of direction suggested at the latter stages of the development process.